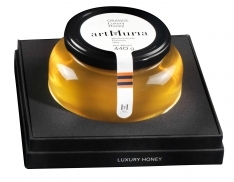 The deciduous forests of Iberia are home to a dense, varied floral world,and you can taste all of it in this delicious gourmet honey, with its amber color and aromas of toasted grain and subtle blooms. 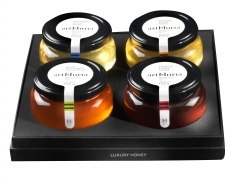 Marrying sweet flavor with asalty undertone, it's an exquisite companion for fried vegetables, tempura, spicy roasts, strong cheeses and bread with olive oil. 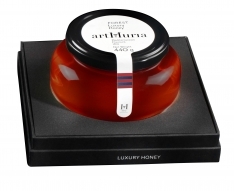 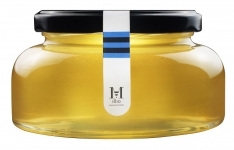 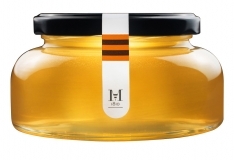 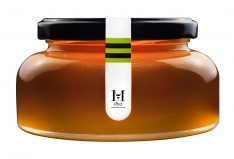 In Spanish, this honey is called, "Miel de Bosque Artmuria."